Labour prosecutors in Brazil are tasked with protecting vulnerable people and fundamental rights at work. This is done through investigations that lead to alternative dispute resolutions or litigation against people or entities that have violated human rights in employment and labour relations. These lawsuits aim to ensure law-abiding behaviour, impose punitive damages and collect compensation. Money from collected fines is used to build schools, improve healthcare services and fund academic research, which benefit victims as well as society at large. To help prosecutors with their work of finding, convicting and penalizing those who violate laws, the Federal Labour Prosecution Office (FLPO) runs a Data Science Laboratory and a Big Data Platform. These tools push the boundaries of what governments think is possible with data and encourage innovative prosecution interventions that help nudge policymakers towards better decision making. These big data resources enable law enforcement, researchers, policymakers and practitioners to address questions about labour violations and vulnerabilities that have not been previously answered due to the lack of time-series and cross-sectional data collection on the working lives of Brazilians. The data initiative has also been used to empower a multi-stakeholder knowledge management forum called the Decent Work SmartLab, through which the FLPO and partners such as the International Labour Organization (ILO), other Brazilian government agencies and NGOs are figuring out ways to transform information into sustainable social impacts and drive action towards the eradication of the worst forms of human exploitation. Using these resources and fostering social dialogue, the FLPO is using alternative dispute resolutions such as compliance agreements to take action to correct labour violations. As an example of such an approach, the FLPO entered into an agreement with the State of Maranhão in 2017 based on the evidence produced on the FLPO Big Data platform. The agreement is data-driven, resilient to political whims and has institutional backing to ensure full implementation, making it a model that will be hopefully replicated across Brazil. 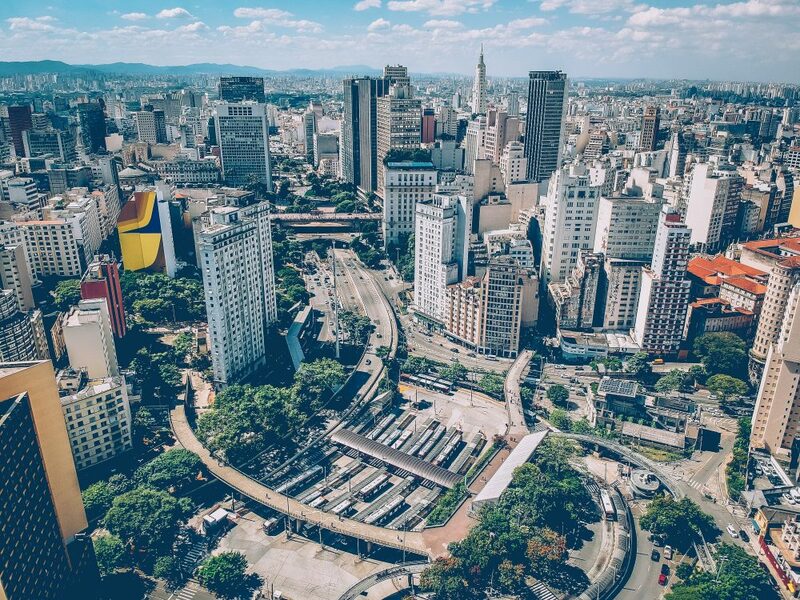 These big data resources enable law enforcement, researchers, policymakers and practitioners to address questions about labour violations and vulnerabilities that have not been previously answered due to the lack of time-series and cross-sectional data collection on the working lives of Brazilians. Before the agreement was in place, multiple investigations into labour law and human rights violations in the State had been launched, but without much success in coming up with evidence-based solutions to the underlying issues. However, the data produced by the FLPO through the SmartLab initiative showed federal government officials that Maranhão should be a priority for policy intervention. From 2003 to 2016, more than 8,000 workers—one-fifth of all slavery victims in Brazil—were born in Maranhão. Moreover, most victims of slavery migrated from the State because of poor living standards shown by indicators at the municipal level such as extreme poverty, education level, life expectancy, unemployment and youth not currently engaged in employment, education or training. With this evidence, the FLPO brought new life to the investigations and discussions in place. Seminars on modern slavery were held in São Luis, Maranhão’s capital, with the support of the ILO, national NGOs, Superior Court judges, inspectors from the Ministry of Labour, and Federal and State government representatives. One of these meetings included the first extended conversation between the state governor, Flávio Dino, and labour prosecutors about how to combat slavery in Maranhão with data and knowledge. Using information to demonstrate the seriousness of the problem and its more granular characteristics, talks gained momentum, concluding with the commitment agreement signed by the state governor and the FLPO. Under the agreement, the State of Maranhão has committed to developing programs to reduce the vulnerabilities of both potential victims and preventing workers who had been exploited from ending up in slavery again. The likelihood of a person returning to slavery is greater among those with a low level of education, and illiterate workers are twice as likely to return to slavery as those who finished primary school. To combat this, the agreement includes initiatives to promote education and work qualification policies, which increase awareness about the risks of trafficking and exploitation among teachers, community leaders and health workers. Thanks to the policy insights gained from the FLPO Data Science Lab and made publicly available through the Smartlab initiative, specific vulnerable zones where the most labour and human rights violations occur can now be targeted, allowing for nearly real-time interventions. Labour prosecutors are working with the government of Maranhão to ensure it meets all of its obligations under the commitment agreement. This collaborative approach prevents placing all the burden on one branch of the government and leads to greater accountability and information sharing. In addition, the State government and the FLPO can avoid the duplication of each other’s data collection and analysis work. The agreement also ensures that Maranhão State will not dismantle its capacity for policy implementation and will expand resources to help in the fight against slavery and exploitation. This includes providing more trained staff to improve resource allocation, holding public meetings, seminars, information-sharing sessions with the local municipal governments, and providing targeted public services to all formerly exploited workers. The success of data-driven policymaking in Maranhão State is undeniable. Going forward, the focus within the Smartlab initiative is on agreement compliance, monitoring and evaluation, and the development of specific data-driven projects on slave labour prevention that can be applied elsewhere in Brazil. Luis Fabiano de Assis is Federal Prosecutor, Chief Research & Data Officer at the Federal Labour Prosecution Office (FLPO) in Brazil and Law & Policy Professor at the National School of Public Prosecutors. He is also head of the Smartlab Initiative. This article has been prepared by Luis Fabiano de Assis as a contribution to Delta 8.7. As provided for in the Terms and Conditions of Use of Delta 8.7, the opinions expressed in this article are those of the author and do not necessarily reflect those of UNU or its partners.